Extra Life has raised a million dollars for children's hospitals before the event could even begin. Last month I wrote about the Extra Life 24-Hour Videogame Marathon, in which participants take on a full day of gaming while collecting sponsorships for Children's Miracle Network Hospitals. I've been following the charity since it began in 2008, when the modest $115 thousand it raised struck me as an amazing achievement for gamers to be a part of. Extra Life has grown quite a bit since then, raising over $3 million total for its good cause. Now it appears that gamers can't even wait until the event begins before they excel at fundraising efforts. According to the organization's official Twitter feed, Extra Life recently passed the $1 million mark with days to spare before the October 20th marathon. "ExtraLife is a proud member of the pre-game day millionaires club, 13,000+ participants strong," reads the tweet. While the exact figure is unconfirmed, considering that 2011's campaign reached $1 million five hours before the marathon finished, that amount will very likely be surpassed this Saturday. The charity was first started by the Sarcastic Gamer community as a way for gamers to provide directly to children's cancer treatment and research. 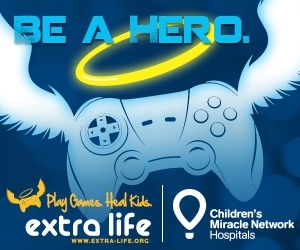 After partnering with Children's Miracle Network in 2010 Extra Life was able to expand its scope, allowing participants to support local children's hospitals in North America, the United Kingdom, and Australia. Of course, with days remaining before donations finally close Extra Life could very well become an even bigger success. The marathon will be held this Saturday, so there's still lots of time for interested persons to sign up or find a gamer to sponsor. If you personally would prefer the latter, please allow me to recommend someone to you. Extra Life is not an Escapist sponsored event, and the decision to participate in the marathon is entirely my own.